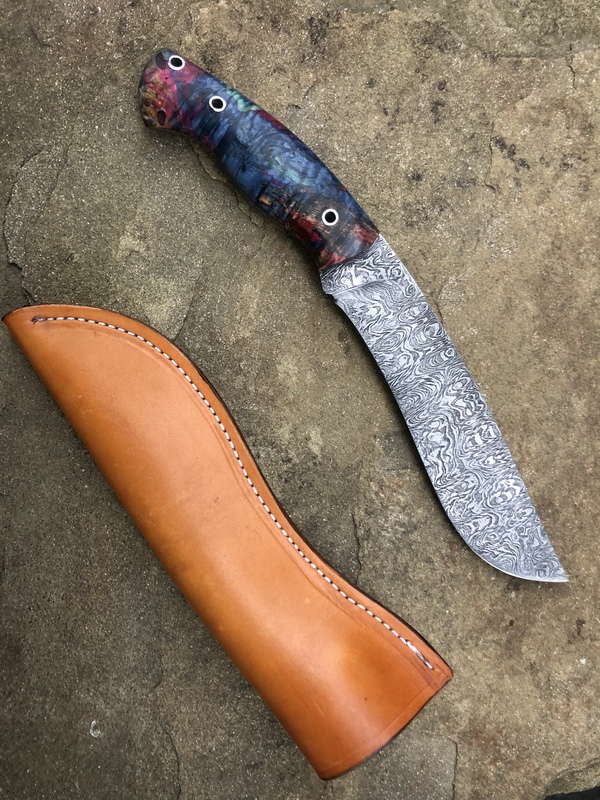 Discussion in 'For Sale: Fixed Blades' started by atakach, Aug 9, 2018. Measurements are 11 3/4” overall, just under 7” from tip to front side of scales and 1 1/2” at widest . Also has a tapered tang. 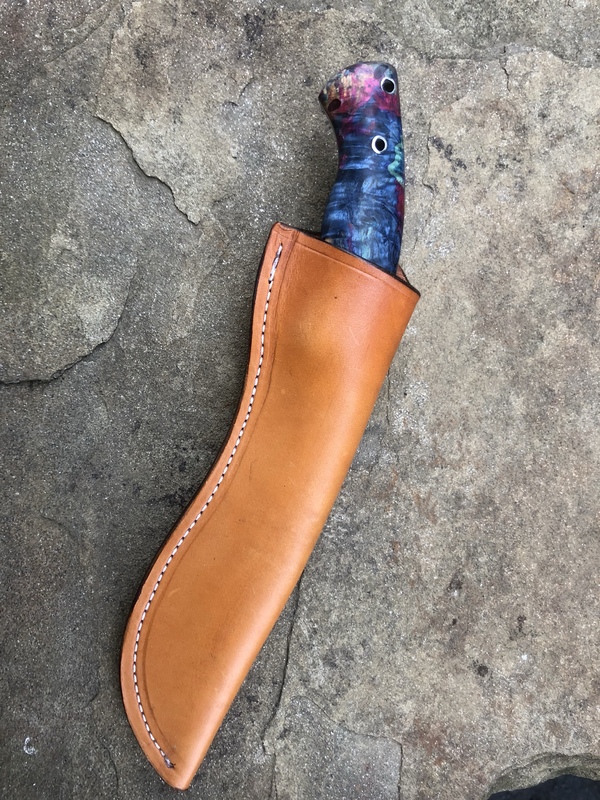 Handle is dyed and stabilized curly spalted maple. Hollow Stainless pins and lanyard hole. protourist and jwccustom57 like this. Any idea what the dimensions are? Oops , guess that would have been good info to include .... Lemme measure it up. Give me a few minutes I’m leaving work. But off hand is thinking close to 12” overall. Yeah it’s about 11 3/4” overall , with just under 7” from tip to front edge of handle. It’s 1 1/2” at the widest and also has a tapered tang. 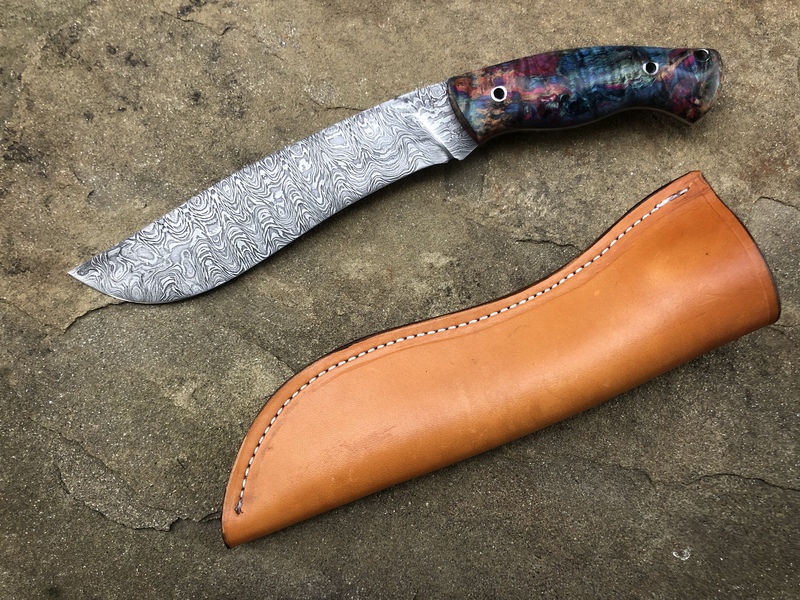 Beautiful damascus pattern and the handles are gorgeous. Love this combination. pretty damn nice knife there Andrew . Glad to see you post some of your great work here again . i was afraid that being a champion on the "Forged in Fire Show " , we might not see your work here again . The knife I got from you is my favorite and will be always be with me , well until it goes to my son . Oh yeah and I also still have the knife I got off you, it lives in my handmade leather hunting bag.